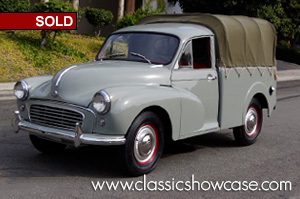 (SOLD) This Morris Minor 1/4-ton pickup is one of the rarest and most desirable models produced, with fewer than 500 produced for the U.S. Market. This Minor has had a comprehensive restoration and is in very good condition. The body, chassis and suspension were removed, restored, and then painted black. The attention to detail in every area of this pick up is apparent with all glass, trim and components well finished. This Minor was part of large museum collection and was kept in a climate-controlled environment. The upgraded engine, and twin SU carburetors offer more power and a nicer ride. Dressed in Dove Grey with a contrasting Red interior, this beauty also has the nice chrome bumpers to finish out this refined look. Ready to drive and enjoy, it comes with invoices for work performed, a spare tire and wheel, floor mats, and its Drivers Handbook. For the collector that wants a unique and special classic pickup in a great color combination. It was the first British car to sell over one million units and is considered a classic example of automotive design, as well as typifying "Englishness". Closed van and open flat-bed ("pick-up") versions of the Minor were built from 1953 until the end of production. They were designed for commercial use with small businesses, although many were also used by larger corporations. Van versions were popular with the General Post Office, the early versions of these (to around 1956) having rubber front wings to cope with the sometimes unforgiving busy situations in which they were expected to work. Both the van and the pickup differed from the monocoque construction of the Saloon and Traveller variants by having a separate chassis. They also differed in detail such as telescopic rear dampers, stiffer rear leaf springs and lower-ratio differentials to cope with heavier loads. 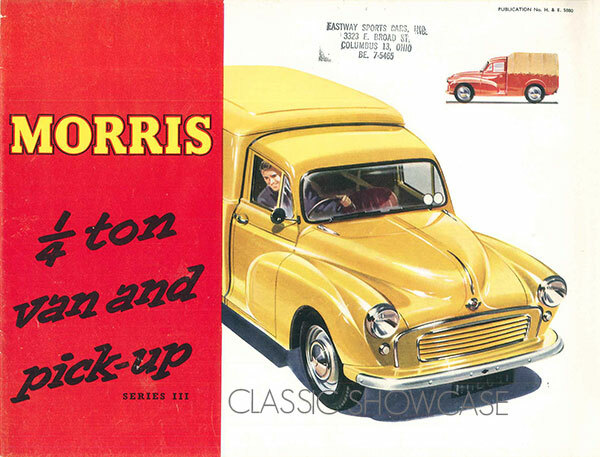 The commercial versions were initially marketed as the Morris Quarter Ton Van and Pick-up, with a Series III designation applied from 1956. 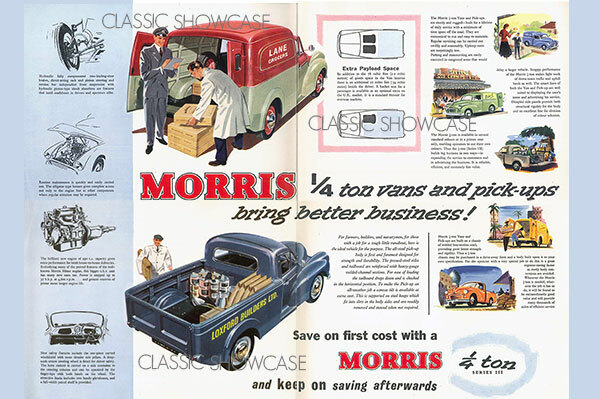 The names Morris 6 cwt Van and Pickup was used following the introduction of the 1098 cc engine in 1962 and 8 cwt versions were added in 1968. 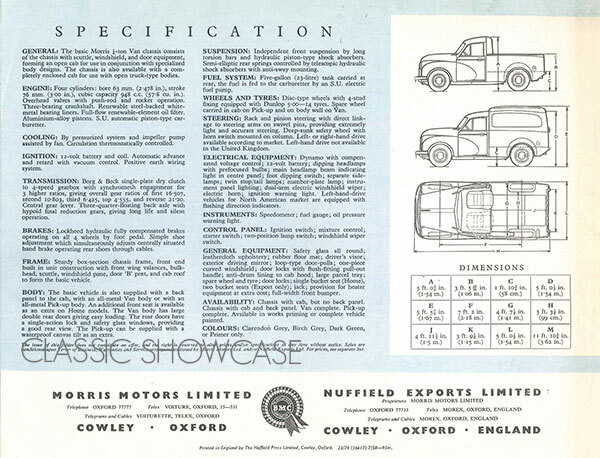 As BMC's policy was to provide both Austin and Morris with complete commercial vehicle ranges, Austin-badged variants of the Minor van and pick-up were sold following the end of Austin A35 production in 1968. These featured Austin badging and the corporate Austin 'crinkle-cut' radiator grille but were otherwise identical to the standard Minor commercials, and were sold as the Austin 6 cwt and Austin 8 cwt.